SA’s second-biggest gaming group, Peermont Global, said yesterday its revenue for the six months to June this year had increased 26% to R560,8m. The group’s headline earnings a share grew 52% to 34,3c, and adjusted headline earnings a share — excluding a once-off option gain — rose 18% to 26,5c. Peermont CEO Ernie Joubert said yesterday the acquisition of Las Vegas-based Caesars Entertainment’s stake in its Caesars Gauteng casino earlier this year for $145m had boosted revenue. The casino has been renamed Emperors Palace and Peermont has an effective 82,9% interest. Joubert said the sustained strong consumer environment helped propel revenue further. Nedcor Securities analyst Sean Ashton said the results were in line with expectations. “One disappointment is that the group added gaming facilities to Emperors Palace yet still underperformed (in) the Gauteng gaming market,” he said. Emperors Palace’s gaming revenue came in 10% higher than last year, compared with a 14% improvement in Gauteng. One risk to the Peermont share, as highlighted by analysts, is its overexposure to the Gauteng gaming market, the biggest in SA. Joubert said that following the purchase of its increased stake in Emperors Palace the company had become even more Gauteng-concentrated. He said the group had started building up its hotel portfolio. 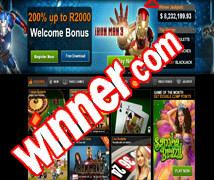 “The problem in SA is that the major casino licences have been awarded already,” he said. 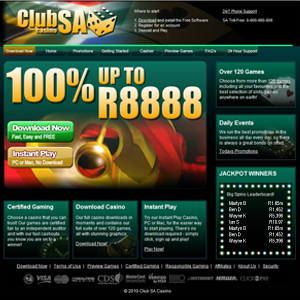 There are six casino licences to be awarded in SA, and Joubert said the group would look into them. He said it would look into international and small acquisitive opportunities in Africa. It is investigating possibilities in Botswana and Mozambique. Peermont, along with other global gambling groups, has been shortlisted to run a casino complex in Singapore. The group said it would carefully evaluate the contents of the request for proposal document and would assess the costs and benefits of participation. “We (Peermont) do not foresee spending on the project until the licence is conferred,” Joubert said. It spent R3,9m on participation in the Singapore request for concepts process in the six months. The Singapore government has announced that gaming concessions would be awarded for two Integrated Resort projects: on the Marina Bayfront and on Sentosa Island. The document is expected to be issued by the end of September this year. Joubert, on longer-term prospects, said the group would be looking for further growth opportunities in southern Africa, and would continue to investigate off-shore opportunities. In the second half of the year, he said, the sustained strong consumer environment would equal solid results for the year. Peermont recorded an interim dividend of 14,6c, compared with 11,4c previously.